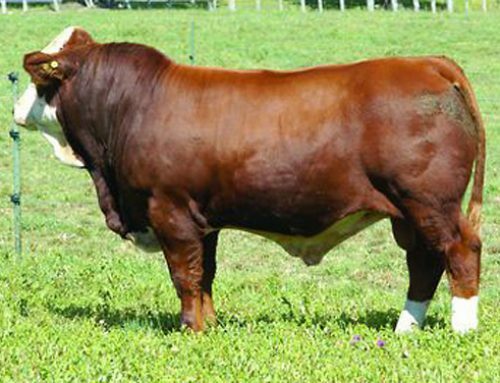 Bar 5 P SA Evolution-Poena 418S is polled and he has performance. 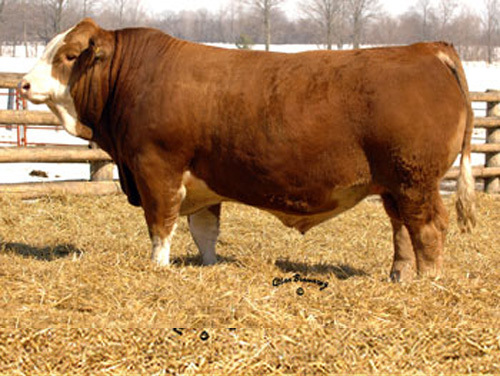 He is regarded as one of the top polled Fleckvieh/Simmental bulls in the world. 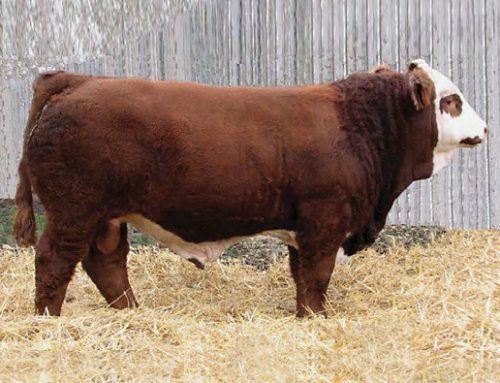 He sold as a yearling for a record breaking $152,000 and has gone on to sire numerous sons and daughters that have topped sales and been show winners. 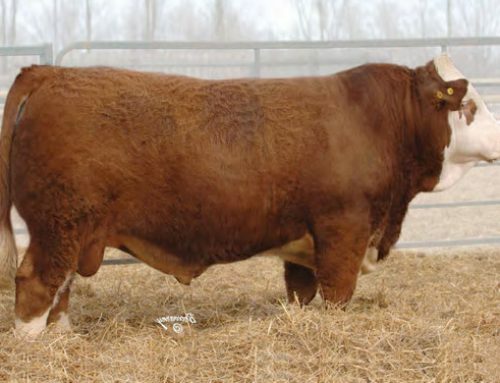 His weaning weight is in the top 3% in the breed and he has excellent carcase yield. 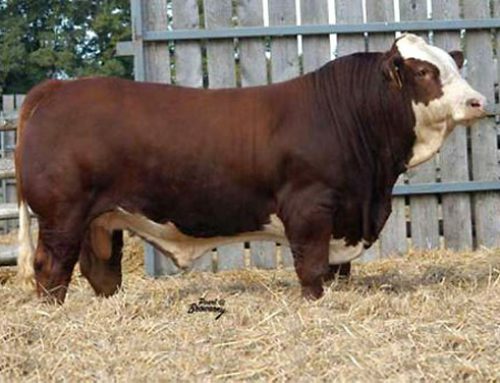 He gets his polled genetics from his sire line, Bar 5 P SA Expert 826M. 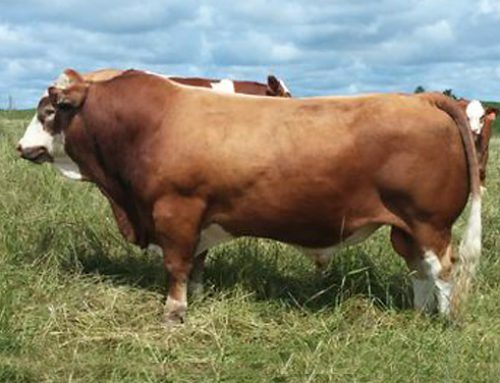 His dam is Bar 5 SA Lady Siska 409M, a daughter of the great Ai-Ai Siska, and the top cow in the Bar 5 herd.